Getting healthy is something that many people are trying to do right now. They are making a concerted effort to get out and exercise more, and they are working on cutting down on all of the bad foods that they eat. One of the problems is that they do not always replace the foods they cut with the healthiest alternatives. Even though they might not be eating pizza every night, switching to microwaveable meals is not much better. To have a successful diet and a healthy live, one needs to make sure that the foods they ingest are actually healthy for them. Here are some foods that you should consider adding to your diet as soon as possible. Green tea has antioxidants that are great for removing free radicals from the body. More and more people are learning that drinking green tea can be a great way to lose weight as well. It doesn't have calories and it can help to speed up the metabolism. It's nice that it also happens to taste good. 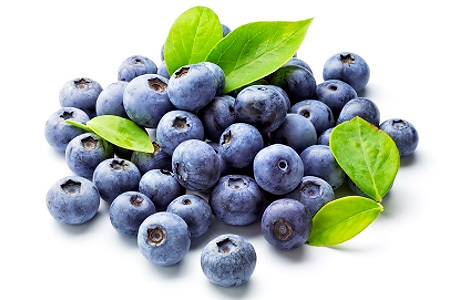 Another food that is full of antioxidants is the common blueberry. The antioxidants are mostly in the blueberry's skin, and they can make a great addition a healthy cereal or oatmeal in the morning. They also make a nice snack throughout the day. Oatmeal is a great food for the mornings. It has healthy carbohydrates that will give you the energy you need throughout the morning, and it is usually filling enough to keep you going until you have a snack around mid-morning. Add some fruit, such as the blueberries mentioned earlier, to help give the oatmeal more flavor. When you do this, you will not have to add any sugar. Chicken is a great food because it has so many different uses, and it is lean and full of protein. With chicken, you can make a healthy wrap with lettuce, you can put it into soup, you can have it on salad, and you can grill it and do literally hundreds of other things! Chicken is one of the best sources of animal proteins you will find. It is surprising just how many people do not drink water. They have their liquid intake mainly through sodas, coffee, and sweetened juices. The beverages with caffeine can provide a dehydrating effect on the body, and that is not something that you want. Many of the juices available in the store are full of sugar. If you want to have some juice, it is a good idea to get your own juicer. When you do, you will know exactly what is in your juice! It is a great idea to add these foods to your diet as soon as you can. Of course, if you do not like chicken, you can substitute another lean meat. Make sure that you do not eat too much red meat though, as it contains cholesterol. You can substitute the blueberries with another type of fruit as well.